Swedish guitar hero Yngwie Malmsteen has been heralded as the rock guitarist of the eighties, a successor to Eddie Van Halen and the late Randy Rhoads. 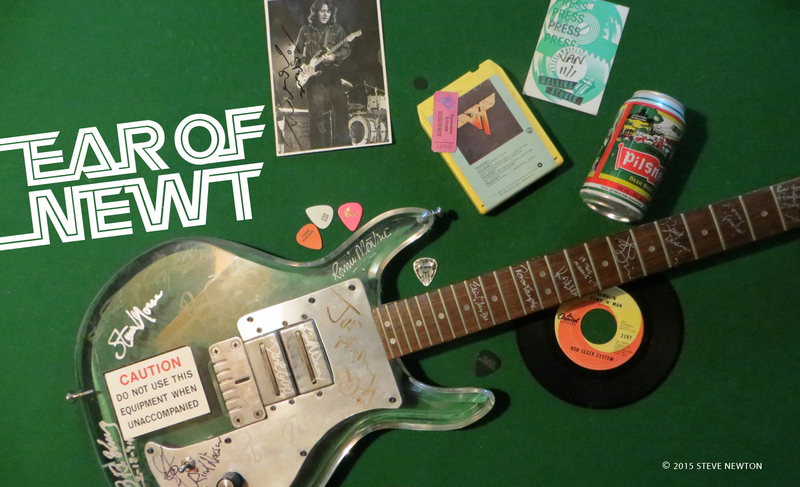 And there’s no doubt that Yngwie is several cuts above the typical metal guitarist. But blinding speed and technical dazzle are no substitute for “feel”, and that’s something that Rhoads specialized in, and Van Halen exudes. 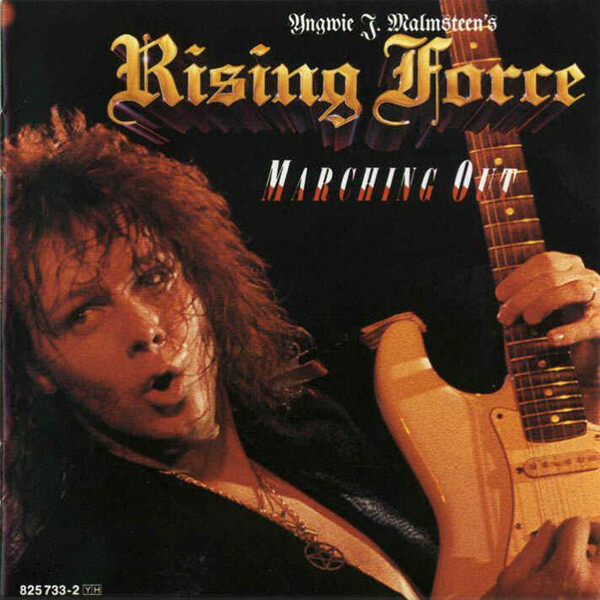 Marching Out was, as it boasts on the back cover, “produced, mixed, composed, and arranged by Yngwie J. Malmsteen,” and it comes across mostly as just a showcase for Malmsteeen’s six-string showboating. Another negative is the vocal work. While some might argue that Jeff Scott Soto’s to-the-max singing style is well-suited to Malmsteen’s speed-of-light playing, he reminds me (negatively) of Graham Bonnet–the singer in Yngwie’s former band Alcatrazz–who tried too hard to sound loud and mean. Rhoads and Van Halen could feed off the craziness of their vocalists, Ozzy and David Lee respectively, but Soto seems to be competing with Malmsteen rather than working with him, and it just doesn’t work. I much prefer Malmsteen’s instrumental solo debut from last year, Rising Force.